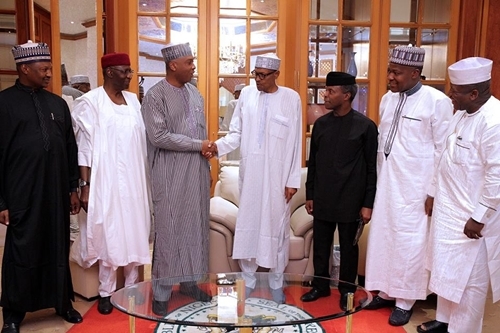 The Vice-President, Senate President and others on Sunday night, paid a farewell visit to President Muhammadu Buhari, who later left for London on medical trip for the second time Shortly before he department to London on medical trip, President Muhammadu Buhari, on Sunday night, played host to Vice President, Yemi Osinbajo, Senate President, Bukola Saraki, Speaker House of Representatives, Yakubu Dogara and others at the presidential villa, Abuja. 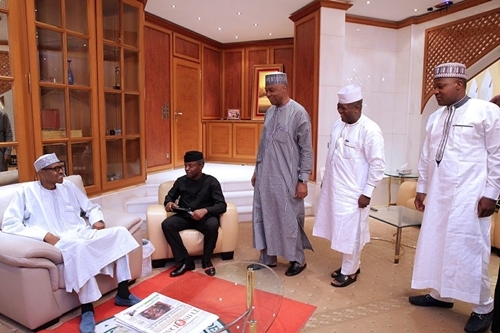 The President, who confirmed this development on his twitter handle on Sunday in Abuja, wrote: “I received Vice-President Yemi Osinbajo, Senate President Bukola Saraki and Speaker Yakubu Dogara at home this evening ahead of my trip tonight." 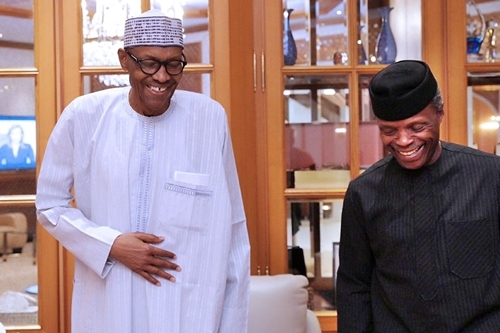 The presidential Special Adviser on Media and Publicity, Femi Adesina, announced last night that Buhari was travelling to London to see his doctors for a follow up. 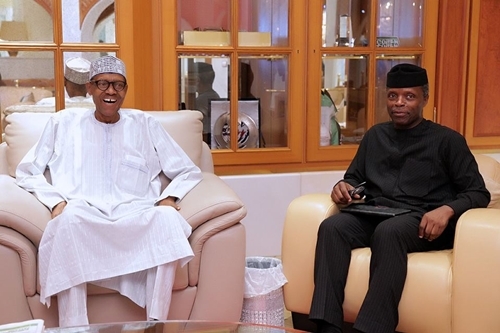 President Buhari had travelled to London in January for a similar check up. He returned on March 10.